Big news from the beloved Converse camp today: The shoe brand is releasing a redesigned version of its iconic Chuck Taylor All Star sneakers—the first time the shoe has received an update since its debut in 1917. 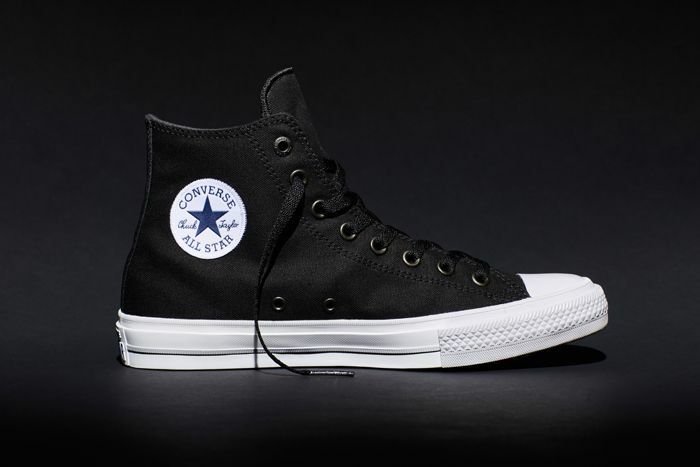 Converse shared the major news today, announcing the Chuck Taylor All Star IIs (how else?) via Instagram. For the most part, the updated design pays homage to the original, with a few small tweaks: It's constructed with Tencel canvas and features a Nike Lunarlon sock liner that promises to make the sneaker more comfortable than ever. "The Chuck Taylor All Star is one of the most legendary and iconic sneakers of all time," Jim Calhoun, the president and CEO of Converse, said in a statement. "The launch of Chuck II is a ground-breaking moment for Converse as we continue to move the brand forward through creativity and innovation, ushering in not just a new sneaker, but a completely new way of thinking." The shoe officially launches next Tuesday, July 28, and will retail at $70 for the low-tops and $75 for the high-tops. Keep scrolling to see the new Converse Chuck Taylor All Star IIs now! What do you think of the resdesigned All Star IIs? Tell us below!